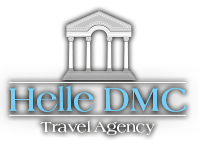 Helle Travel DMC Agency is a highly specialized consultant for practically every aspect of destination management. As one of the leading DMC agencies in Croatia, we possess all the necessary skills to manage each segment of traveling and deliver supreme programs and ideas at cost-effective rates. In-depth local knowledge, co-operation only with reliable partners and facilities of highest standards, implementation of authentic event programs and services allowed us to develop an understanding of what our clients seek and to fulfill their aspirations with minimum effort on their part. Whether you need organization of incentive programs, tailor-made holidays, corporate functions, weddings or honeymoons, Helle Travels team assists you both on a professional and creative level. With 15 years of experience in organizing congresses and conference meetings for our clients, Helle Travel Agency developed a high-quality relationship with hotels and their staff whereas our team of devoted and competent professionals is ready to face any challenge and demand in order to ensure the best conference planning in Croatia. Due to comprehensive support, on site coordination and logistic consultation provided by the members of Helle Travel team, our assistance facilitates the planning of your conference meeting by adding a special personal touch to your event. Our professional team takes care of every single stage of incentive management, from budget development, arranging deluxe ground transportation, delivering a superb selection of world-class accommodation, venues sourcing to managing décor elements, providing contingency plans and logistic consultation. Our priority is to use our expertise, passion for details and enduring background knowledge to create exclusive opportunities for incentive travel and to orchestrate every single event seamlessly. Tailor made programs can be an ideal creative expression of your brand and an unforgettable form of traveling. As John Steinbeck said, the best kinds of journeys are not the ones you take. The best are the ones that take you. a) All requests for quotations and bookings will be received and processed by email. b) At the beginning of the business relationship, the client will be assigned a manager or executive responsible for their program offer and will be given their contact information. c) We will respond to your request within 24 hours maximum. As a general rule, requests that we receive during the morning are answered the same day in the afternoon; and those that are received in the afternoon are confirmed the next day in the morning. d) Requests for groups and incentives will be answered within no more than 72 hours. If for any situation beyond our control we take more time replying to your request, we will communicate within the established period. f) The content of our replies will always be comprehensive and will be accompanied by an advisor assessment when deemed relevant for the benefit of our client. Our advice will be given when we understand that there is a better way to meet our clients’ needs, and when we consider that the requested service could be better, without necessarily increasing the price. g) All of our personnel have a Skype account, a communication tool that allows us to immediately address your general inquiries as well as advise you on an itinerary or specific service. Helle Travel DMC considers a bound contract to have been formed upon the agreed deposits exchanged between the client and Helle Travel DMC. This comes into existence when Hele Travel DMC has received a 20% deposit of the total booking and issues a confirmation. Helle Travel DMC reserves the right to refuse or decline booking with justified explanation. The deposit may vary according to the event or accommodation being booked and the length of time between the confirmation of the event and the event date. The remaining balance is due 30 days prior to the event. All products offered are subject to availability. Confirmation of availability is not valid until received in writing by Helle Travel DMC. Confirmation of a booking can then only be guaranteed on receipt of full or part payment of the event. Due to recent fluctuation in exchange rates, prices cannot be guaranteed until payment is received in full. This guarantee excludes fuel surcharges and does not apply to any taxes, charges or levies imposed by any government or their agencies. In exchange for this guarantee, no refund will be made if costs are reduced. Prices are per person and in Euro (€) unless otherwise specified. The payment schedule and deposits are according to Helle Tavel DMC itemized quotation offer. Helle Travel DMC reserves the right to cancel or not provide any service for which deposits were not received on the due dates, or have not been fully prepaid in accordance with the payment schedule. All invoices are only due and payable in Euro, by certified check or bank transfer, inclusive of foreign bank charges. The program invoice is payable within stipulated payments schedule. All unpaid amounts will automatically bear 15% interest per annum, effective from the date of invoicing. The CLIENT should fax a copy of the bank transfer to Helle Travel DMC on the day of payment, and the intermediary bank shall advise Helle Travel DMC of the receipt of the payment. Final payment must be paid immediately when requested prior to travel date. No vouchers / booking confirmation / visa appointment letter (for overseas booking) will be issued until final payment is received. Final payment conditions for certain accommodation and tour products may vary; this is reflected to individual quotes provided to you. We will advise you in writing of these conditions at the time of booking. Please note the final payment may vary from the original booking price or quote if the product is subject to exchange rate fluctuations or price rises by wholesalers or other suppliers. Clients can cancel at any time, and the cancellation will come into effect as soon as Helle Travel DMC receives a written request from the client. In the case of cancellation less than 5 days after the booking no cancellation fee shall be applied. In the case of cancellation of more than 30 days prior to the event the cancellation charge shall be 20% of the total cost. Cancellation between 15 and 30 days prior to the event shall incur a cancellation charge of 50% of the total cost. Cancellation with less than 15 days before the event shall be charged 100% of the total cost. In the case of cancellation of part of the group then the same cancellation charges will apply on a pro-rata basis. In the case of group sizes being reduced from the original booking Helle Travel DMC reserves the right to cancel the booking or change the price according to the number of participants. Helle Travel DMC makes arrangements with reputable suppliers and acts only as an agent for the airlines or contractors providing accommodation, transportation, meals or other services, and accepts no responsibility for the quality of services in hotels, on board aircraft or any vehicle used in connection with the trip, nor for delays, loss or damage of luggage, or accident incurred by passengers resulting from the use of these transportation means, whatever the cause. Also, Helle Travel DMC shall not be liable for losses or additional expenses due to customer being late for a service. Helel Travel DMC is not liable or responsible for any loss, injury or damage to person, property or otherwise in connection with any transportation, accommodation, meals, tour or other services referred to herein, or resulting from neglect or default of any person harmed, corporation or other entity engaged to supply the same. Helle Travel DMC strongly advise bookings should not be made without adequate personal insurance. It is the responsibility of the client to have adequate travel and accident insurance to cover a minimum, but not limited to, the following: all medical expenses, including treatment, transport, and evacuation; repatriation expenses; loss or delay of luggage; and cancellation or curtailment of a product. The client`s insurance should not exclude ANY planned adventure activities from the time of booking and for the full duration of the product. Helle Travel DMC does not accept liability on the client´s behalf in circumstances where Helle Travel DMC has provided a product of reasonable standard. A client and his personal belongings are the client’s sole responsibility. It is also the sole responsibility of the person booking to inform and make sure all members of their party have read, understood, and agree to these terms. Accommodation fee does not nclude travel insurance from a travel risk. In accordance with the Law in Tourism (NN no. 8/96 - hereinafter the Act), the agency where the client makes the booking will offer the traveler a "package" of travel insurance, which consists of health insurance of the traveller throughout his stay abroad, baggage insurance, accidents insurance and travel cancellation insurance, which are offered for both travel abroad and in our country. Accepting the travel contract, client confirms that he was offered a "package" of travel insurance. When contracting a travel insurance package, it is necessary to submit the full name, address and VAT number of the insured person. Travel insurance policy can not be arranged later! Helle Travel DMC is obliged to inform you that under Croatian law, foreign citizens with this insurance are insured only on Croatian territory. We therefore recommend that foreign citizens make that insurance in their own country. Travel agency Helle Travel DMC has contracted an insurance bail policy with insurance company Generaly Insurance Group Inc. Bani 10010 Zagreb Croatia. Travel agency Helle Travel DMC has contracted Liability insurance with insurance company Generaly Insurance Group Inc. Bani 10010 Zagreb Croatia. The client agrees to pay for any damages caused by the client to the facilities or equipment of Helle Travel DMC, their employees, and any third parties that provide services for Helle Travel DMC. Travelers should be aware that different living standards and practices and different standards and conditions with respect to the provision of utilities, services and accommodation in Croatia. Hotel ratings are not based on North American standards; therefore, they cannot be compared to ours judged by our domestic standards. Helle Travel DMC will not have liability regarding provision of medical care or the adequacy of any care that may be rendered. It is understood that Helle Travel DMC will use every precaution to ensure that adequate measures are taken. During local or national holidays, certain facilities such as museums, attractions, restaurants, sightseeing tours and even shopping may be limited or not available. Alternatives will be offered whenever possible. Upon writing confirmation by the CLIENT of the project, Helle Travel DMC will provide (for a maximum of two persons) complimentary management-level assistance for site inspections (maximum two nights) including complimentary transfers and program-related transportation within CROATIA, meals and other visits. If the program accommodation has been requested to Helle Travel DMC, Helle Travel DMC will negotiate the best rate with hotels and other suppliers to keep inspection costs as low as possible. CLIENTS are invoiced for, out-of-pocket expenses for items of a personal nature. Inspection expenses are due even if the project has been cancelled. You are required to report any disability requiring special attention to Helle Travel DMC at the time of reservation so we can make all reasonable attempts to accommodate the special needs of disabled travelers. In the event of not being able to do so, Helle Travel DMC is not responsible for any denial of services by carriers, hotels, restaurants and other independent suppliers. Most transportation services including the touring motor coach are not equipped with wheelchair ramps. We cannot provide individual assistance to a tour participant for mobility, dining, or other personal needs. Helle Travel DMC accepts no responsibility for participants failure or late showing for any transport booked with Helle Travel DMC . In the event of a client being delayed Helle Travel DMC will endeavour to wait. However Helle Travel DMC cannot be held responsible if this is not possible. Your travel agent will receive the travel documents no later than 14 days prior to departure. It is the tour participant's responsibility to obtain, at his/her expense, all documentations required by the relevant government authorities, including those for your return to your country. Ask your travel agent for more details. Helle Travel DMC assumes no responsibility for any delay, loss or extra expense incurred as a result of improper or lack of travel documents. Each passenger will have options and opportunity to deviate from the tour return date. Air deviations will be subject to availability and must be requested prior to departure from the USA and the EU. Air deviations will involve an additional cost. Slight changes in the day-by-day itinerary may occur due to local conditions and or unexpected operational difficulties beyond our control. Also, should it be necessary, local suppliers reserve the right to substitute tours, performances, meals, etc., with those of equal or greater value, with no further obligation. The descriptions only serve as indications of products. There may be slight variations in schedules, venues and timings. Pictures used in all promotional literature to illustrate products are used only as an indication point. Helle Travel DMC, as a licensed travel agent NUMBER ID= 54366405392, uses a number of suppliers and providers. Bookings accepted by Helle Travel DMC are subjects to the terms and conditions of these providers and suppliers. These terms and conditions are available upon request by the client. Personal conduct on all events is expected to be of a good and reasonable standard. This standard is deemed by Helle Travel DMC and/or its supplier/provider Helle Travel DMC and/or its service provider reserve the right to terminate a client`s participation or refuse entry if the clients behaviour is deemed inappropriate. In such cases Helle Travel DMC accepts no responsibility for any losses incurred. Helle Travel DMC and its providers strive to maintain high standards of safety. However, Helle Travel DMC cannot provide any guarantee of the suppliers safety or performance standards. Some products offered by Helle Travel DMC involve an element of risk. Clients accept that they participate in these products at their own risk and will not hold Helle Travel DMC responsible for any accident, injury, or death. Some providers require participants to sign disclaimers and reserve the right to deem the person unfit for the product. In this case their judgement is final. Some of Helle Travel DMC activities and products are dependent upon the weather Helle Travel DMC will endeavour to re-schedule this product, however, Helle Travel DMC cannot be held responsible if this is not possible. Helle Travel DMC cannot be held responsible for cancellation of activities due to adverse weather or mechanical failure. Helle Travel DMC will not be held responsible for any theft or loss of personal possessions from our premises or vehicles. Whilst Helle Travel DMC will strive to ensure the security of guests’ personal possessions, Helle Travel DMC cannot guarantee it. Our authorized representatives may take photographs and films of our clients while using Helle Travel DMC product. By agreeing to these terms and conditions, Helle Travel DMC reserves the right to use said material for any advertising or promotion without obtaining further consent. Helle Travel DMC also reserves the right to use any comments clients make, questionnaires or complimentary letters with respect to Helle Travel DMC or its products in promotional literature without obtaining further consent. In the unlikely event the client has a complaint about any of the product arrangements, the client must raise the complaint immediately with a Helle Travel DMC employee so that Helle Travel DMC can strive to rectify the problem. Helle Travel DMC is not obligated to compensate complaints made after the departure of guests Helle Travel DMC .Croatian liability will be limited to the cost of the sale price of the product. A deposit paid to Helle Travel DMC will be constituted as acceptance of these terms and conditions. Helle Travel DMC is a Croatian registered, limited liability company, any such disputes arising from these terms and conditions will be dealt with by the Croatia/ city of Split court.